Fans are waiting with rising levels of anxiety/excitement/mania/joy for popular mystery series Sherlock’s return with premiere episode The Empty Hearse – whether it’s because they want to know the details surrounding how the great detective faked his death, are curious whether John will react to the news of his best friend’s not being quite so dead after all by punching him in the face, or just want to see television’s greatest bromance reunited, we all just want to get to January 19 (and avoid getting spoiled by our friends in the UK who have already seen this awesomeness). Subsequently, sometimes it’s hard to remember that there are actually two more episodes to come in Series 3, because we’re all so fixed on Hearse and the fact that it’s been two years since we’ve gotten any new Sherlock at all. 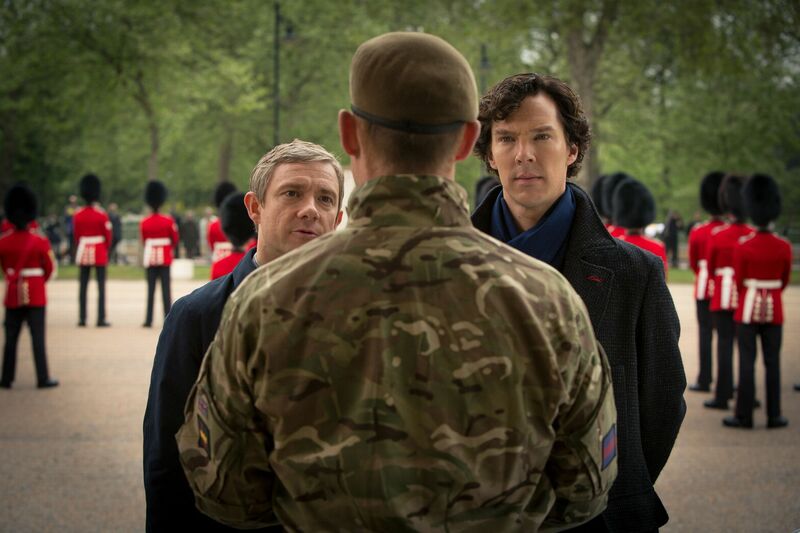 But, there’s more to come – and now we finally have some details and a look at life after Sherlock’s return. 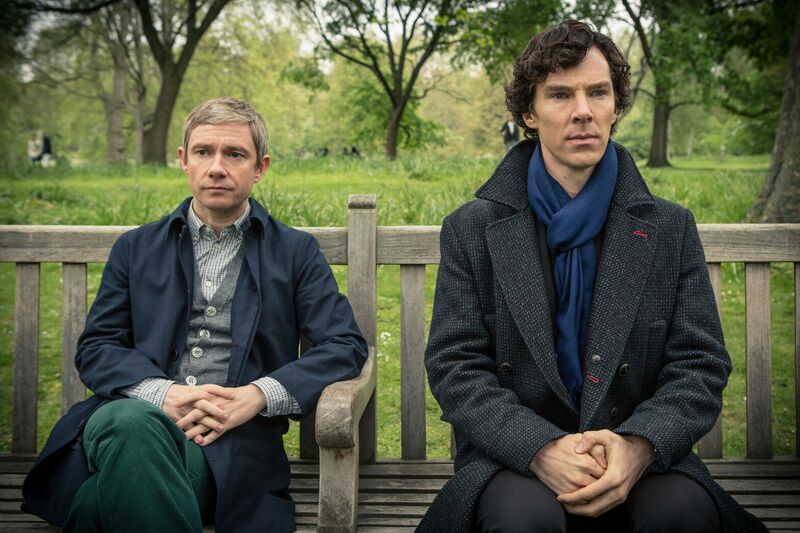 Series 3’s second episode is titled The Sign of Three, and is ostensibly in some way based on original Sir Arthur Conan Doyle story The Sign of Four, the tale in which we meet Mary Morstan, the woman who would later become Mrs. John Watson. Since we already know that Freeman’s real-life partner Amanda Abbington is playing Morstan, the events of described in this episode and shown in some of the photos probably shouldn’t surprise you, but they do contain a vague spoiler if you’re being super cautious. Take a look for yourself below. Yup, John’s getting married! No matter how you may feel on this issue – and personally I’m a bit concerned about packing a lot of emotional upheaval into such a small space of time episode-wise, but I’m willing to wait and see – you have to admit that this cast sure does clean up nice. 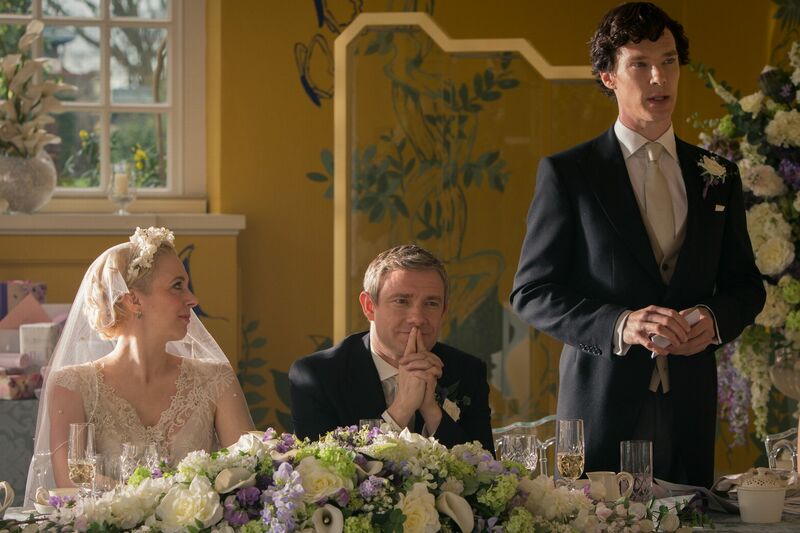 The synopsis for The Sign of Three is as follows: Sherlock faces his biggest challenge of all – delivering a Best Man’s speech on John’s wedding day. But all isn't quite as it seems. Mortal danger stalks the reception - and someone might not make it to the happy couple's first dance. 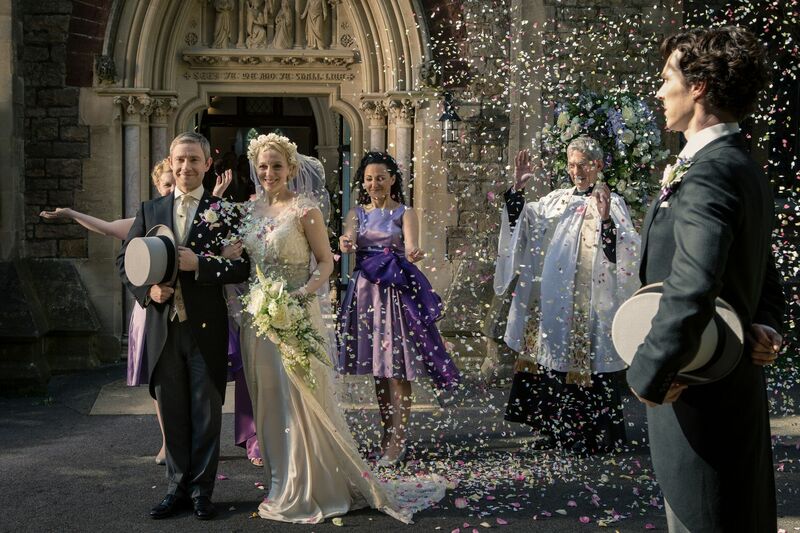 Sherlock must thank the bridesmaids, solve the case and stop a killer. 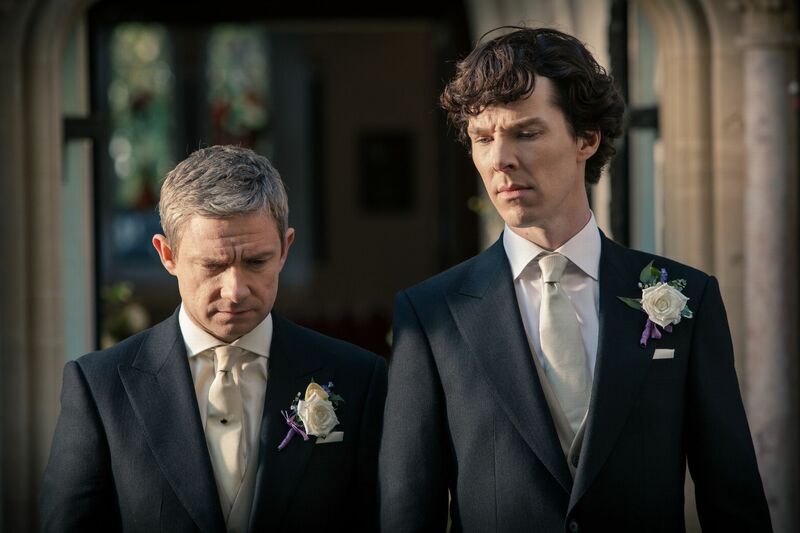 It’s also interesting to not that going by some of these photos it does seem as though there’s still quite a bit of angst going on in Sherlock-and-John land, though one has to suppose that if Sherlock’s doing the best man toast things are mostly okay? I…have no idea what is going on in this picture, but it’s kind of amazing. Seriously, we need these new episodes now. Who has theories to share about what’s going on in these snaps? How do you feel about the introduction of Mary this season? Sound off in the comments. Get excited "Poldark" fans" The first image from Season 3 is here!